Wind, sunshine and thousands of spectators made this an epic freestyle day. The competition area was moved a little bit further out because of the wind direction from southeast. Perfect Freestyle conditions today at Podersdorf, Neusiedler See, Austria. Registration day and start of the PWA Freestyle Qualifier in Podersdorf, Austria. The PWA Freestyle tour will shortly be arriving in Nuesiedler See Austria. Nuesiedler See burst onto the scene in 1998 with a superbly organized festival event just 50 miles south of Vienna. Depends where it is. But probably Francisco Goya. Despite 15-25 knot winds here in Vargas this afternoon the waves failed to materialize and no official competition took place. After a promising start to the day here in Vargas the wind and waves failed to reach a consistent enough level to allow any official competition sailing. We are back on standby here in Gran Canaria following a day of light winds on all shores of the island. The World Cup camp moved back to Vargas today to wait for the regular winds to return. 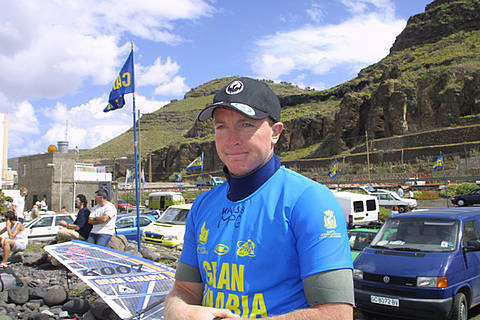 Spectacular wave competition commenced today here in Gran Canaria although in rather unexpected circumstances. 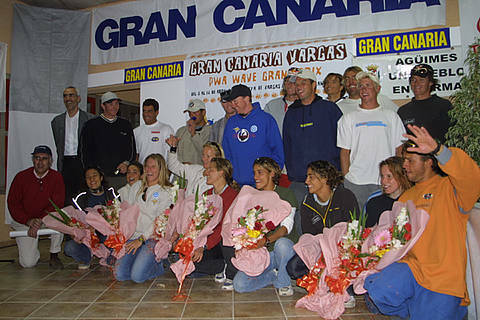 We are on hold here at the Gran Canaria, Vargas, PWA Wave Grand Prix 2002. 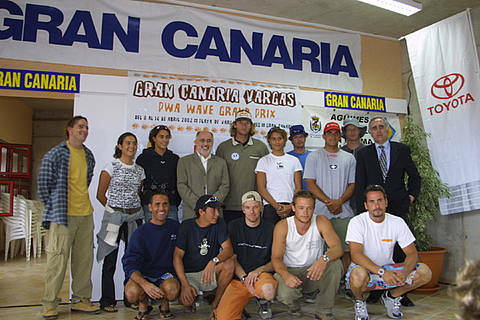 The worlds elite wave sailors from both the men’s and women’s divisions of the PWA world tour have gathered here in Vargas, Gran Canaria for the first event of the season. 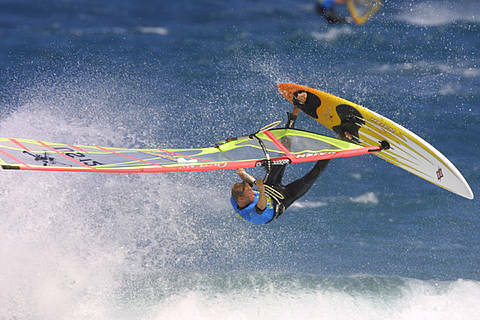 The Cape Cod Windsurfing Association is proud to announce the 2002 Verizon King of the Cape Windsurfing Freestyle Pro-Am, June 7-9 at sunny West Dennis Beach on Cape Cod. 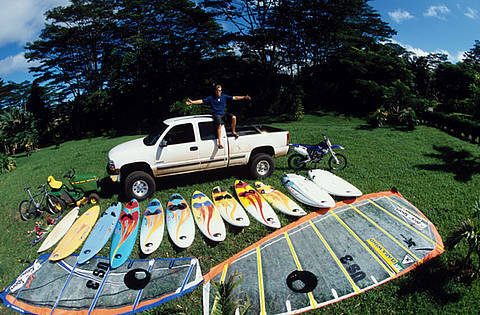 The Nea Awards have been held to honour the world’s best extreme sports athletes since summer 2000.